It isn’t a trip to Taipei without a night market visit. 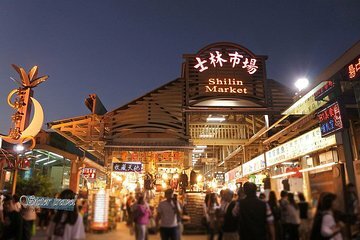 This private tour makes it easier than ever to follow in locals’ footsteps and navigate through the bustling, vibrant Shilin Night Market. Meet your guide and head to its must-see highlights, and learn more about Taiwanese culture and cuisine as you go. You can try snacks that catch your fancy, from pineapple cake and grilled octopus to mango shaved ice and beyond (food at your own expense).